We're very fortunate to be surrounded by such amazing and stylish people at Le Marché St. George. Hunter is a testament to this fact, and we feel privileged to be among the handful of establishments in the city where you can find his superb hand-crafted footwear and accessories. His company, Apartment 5, makes all of their goods in Vancouver. Every item receives endless care throughout its creation, from hand-cutting and punching to stitching. Hunter prides himself on sourcing the best materials locally, south of the border, further into the Americas, Australia and Japan. Apartment 5's footwear is made to order, and bespoke needs can be accommodated. Next time you're in the shop we encourage you to consider this line of products. 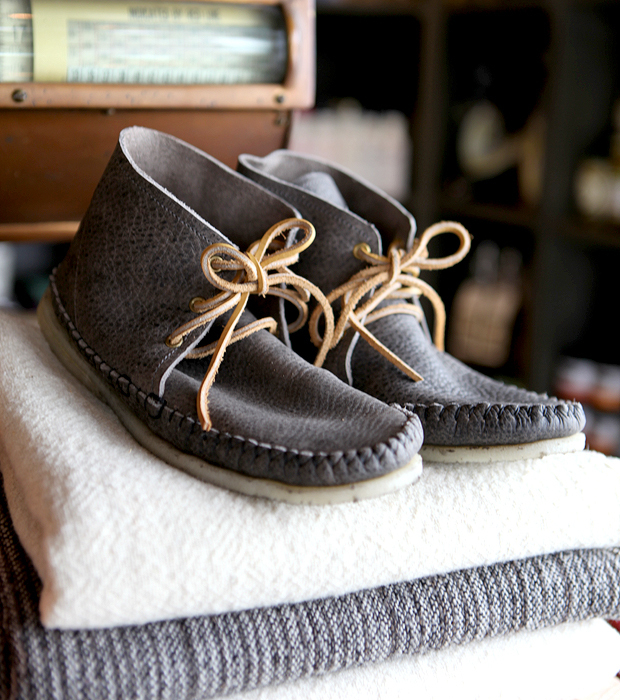 If you are in the market for a pair of moccasins or desert boots, his might be exactly what you're looking for.